Classes with ETL are inclusive and progressive, so regardless of fitness level or ability, all are welcome. Exercises are taught safely with demonstrations of correct technique, progressions for those who wish to advance each movement or modifications for those with limitations such as injury, pre/post pregnancy or mobility issues. In line with ETL’s training philosophy, the aim is for everyone to have a positive fitness experience that is fulfilling, challenging and fun. *Classes are held at multiple locations and advanced booking is compulsory. 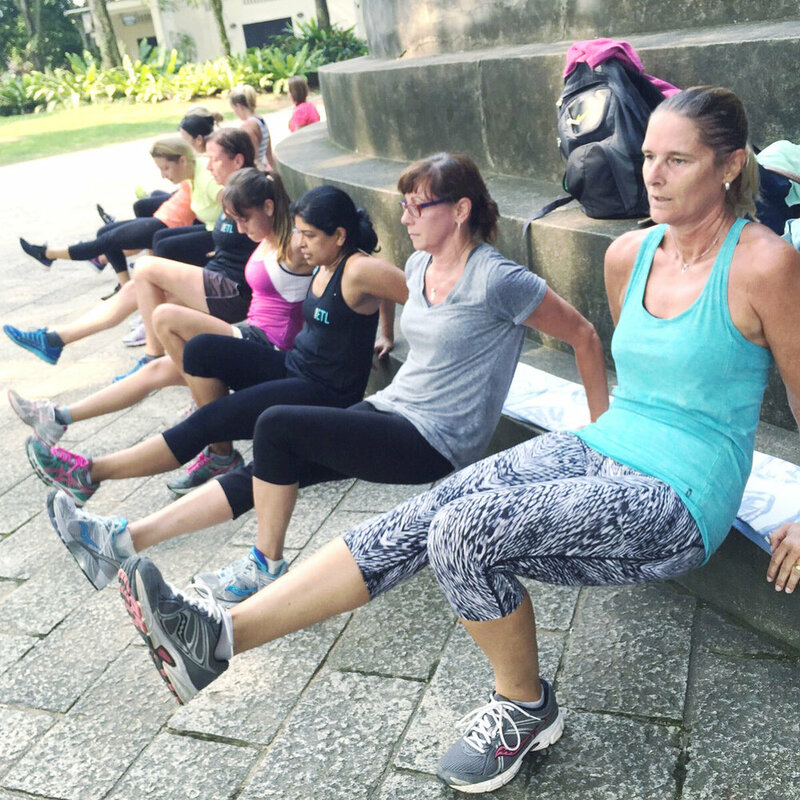 Adding fun and freshness into outdoor fitness, Sweat Sesh with ETL combines HIIT (High Intensity Interval Training), body weight and core conditioning, sports specific exercises, ZUU© movements and our signature ETL Bootcamp Bonding to ramp up your fitness levels, develop functional strength through range and get you feeling fit and fab. Expect to come out of class smiling with increased strength, speed, agility, and a strong core in this total body workout. Sessions are 55 min with a stretch at the end. Classes are held at multiple locations so please refer to our location map. *Mat or towel and water required. 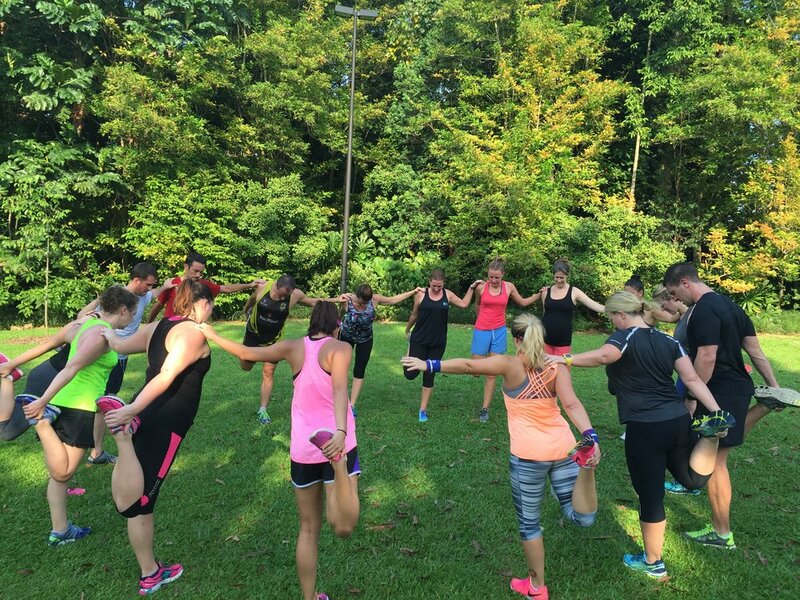 Signature Sweat Sesh - From the lush tropics of the Botanics to the urban landscape at the Pinnacles at Duxton, our Signature Sweat Sesh makes use of the elements of each unique location to bring you a workout that's the perfect combination of strength, fitness and fun. Tough Monkeys - Need an extra push and challenge? This workout is the perfect way to work on your functional fitness, strength and cardio endurance to assist you in your OCR training. This fun session will combine running, lifting, pulling and pushing, climbing, crawling and jumping - the perfect combination for your next race, be it Spartan or Tough Mudder. Circuit Box - Get ready to focus on your explosive power and athletic fitness. Combining training elements of boxing, obstacle course, circuit training and sprints, this is definitely going to be your weekly hour of power. Based on the method by Barre Body Australia, Barre with ETL is a total body workout combining Yoga, Pilates and Ballet Barre conditioning to create long, lean muscles and a strong powerhouse. The fluid elements of Vinyasa threaded through the class and the savasana at the end will leave you feeling strong, sculpted and centred. All classes are held at ETL Haus so please refer to our location map. Sessions are 55 minutes with savasana (relaxation) at the end. *Towel required. Long & Lean - Our Signature Barre class will give you all the yummy benefits of yoga, pilates and dance conditioning, combining isometric exercises, vinyasa flow sequences and mat-based exercises to strengthen, tone and shape. Powerhouse Express – Discover how dancers get their poise and grace in this 45 min express class that focuses on Floor Barre and Pilates principles. By integrating the use of small apparatus such as the Pilates Circle and Resistance Bands, set your muscles on fire and tighten, sculpt and tone your powerhouse (abs, glutes and thighs). Yoga with ETL draws on the elements of Hatha and Iyengar Yoga to improve your posture, balance, flexibility and muscle tone. 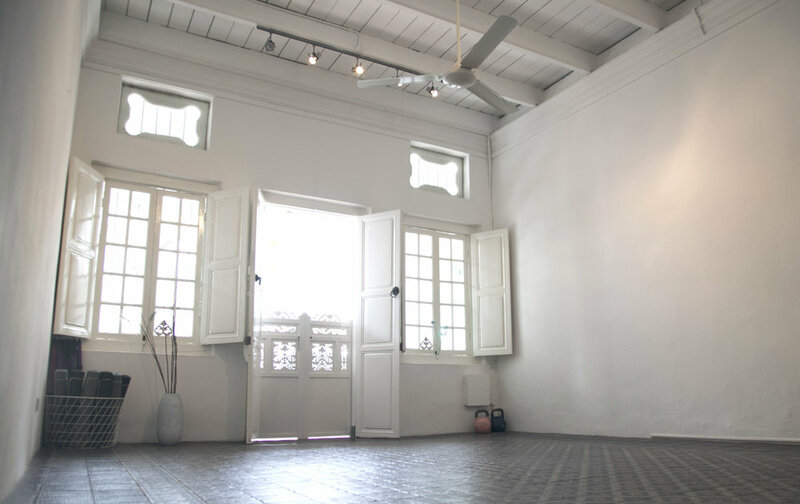 Classes are kept very small allowing a deeper connection with form, alignment and the breath. And a luxurious savasana (relaxation) at the end will leave you feeling grounded, recharged and restored. All classes are held at various locations so please refer to our location map. Sessions are 55 minutes with savasana (relaxation) at the end. *Mat required at all outdoor locations. Signature Flow - Our Signature Flow class works on a different class focus each week and will take you through the fundamentals as well as progressions aimed at improving your technique, alignment and posture. Classes will work on body awareness and the principles of balance and flow, bringing you a sense of being grounded and empowered to expand at the same time. Power Yoga - Build strength, endurance and flexibility in this power class that aims to tame your focus as you work your entire body. Perfect for the time pressed and those looking for a deeper asana practice, this intense workout will empower you with a renewed sense of awareness. Bliss Yoga - Tune into your body and breath with our newest class - Bliss Yoga. Gentle flow sequences and restorative postures help you to unwind and myofascial release techniques will access and unlock tension and restriction in the body. Allow yourself to be guided through breathwork that will help you improve flexibility and achieve total relaxation and restorative bliss. FlyHigh Yoga© – Available as a one on one or buddy session only, enjoy the amazing benefits of aerial yoga. Gain mobility, flexibility and heightened body awareness through sequences using the FlyHigh sling.